Let’s get real: haven’t self-driving vehicles always seemed like they’re more trouble than they’re worth? Activist Post doesn’t endorse vandalism or violence. However, this New York Times article, “Wielding Rocks and Knives, Arizonans Attack Self-Driving Cars,” seems too important not to share. 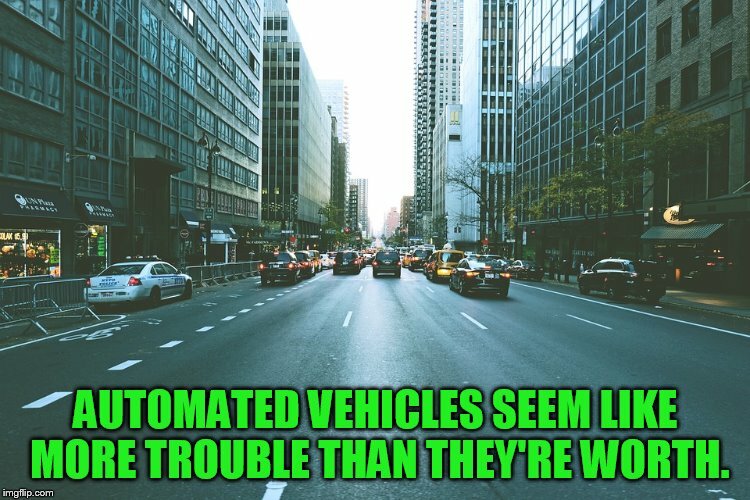 Automated vehicles are being introduced throughout the U.S. despite all their reported issues and accidents (including one fatality). Insurance experts have also been debating the implications of their existence for years. Tech moguls are concerned about these vehicles eliminating a large percentage of human jobs. Of course, they aren’t alone with these concerns. Because of this, they’ve been endorsing a Universal Basic Income to offset mass rioting and other issues associated with even more Americans becoming poor due to a lack of employment opportunities. The biological and environmental harm caused by self-driving vehicles is not being addressed nearly as much as these other more obvious issues. Let’s also not forget that because these vehicles are operated by computers, they can be hacked which means the potential for even MORE accidents. Will other Americans eventually feel as desperate about self-driving cars? I guess we’ll find out soon enough.